Will Stuffing Tinfoil in your Hubcaps Block Police Radar? There are many urban legends when it comes to avoiding speeding tickets. You may have heard that if you have your windshield wipers on, the police radar gun will pick up the speed of the wipers instead of the car. You may have recently also heard from your cousin's sister's uncle that hanging a CD from your rearview mirror will reflect the radar back just enough to throw off the cops results. The latest story making the rounds on the internet is that if you stuff your hubcaps with crumpled up tinfoil it will screw-up police radar. 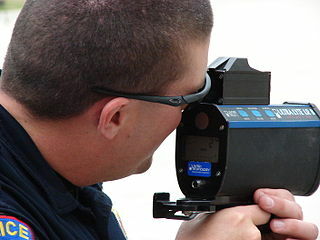 The idea is that all the crumpled balls of tinfoil, with its dozens of odd angles, spinning at variable rates of speed will keep the radar gun from getting an accurate fix on your vehicle. Another variation of this technique says you should cover the hubcaps themselves in tinfoil. The facts are that none of these tactics work. On a 2004 episode of the Discovery Network show "MythBusters", the crew wrapped an entire car in tinfoil and it actually made it easier for the radar gun to track the car's speed. For more info on the episode check it out here and use that tinfoil to wrap your leftovers.